Rumble: Two groups of opposing teens start off playing pool but soon they clash heads. In the midst of fighting, Sung-bin kills Hyun-soo and thus begins his descent into crime. Nightmare: Seven years later, Sung-bin is released from prison. Upon returning home he finds that his father no longer cares about him. His elder brother gets him a job at a garage where a cop visits him several times but Sung-bin soon finds himself back out of work. It's not long before fate leads him once again along a rocky path. Modern Man: Suk-hwan, an old friend of Sung-bin who was with him on the day of that fateful incident has now become a police officer. We see him on a stakeout; unbeknownst to Suk-hwan the man he is after is connected to Sung-bin. 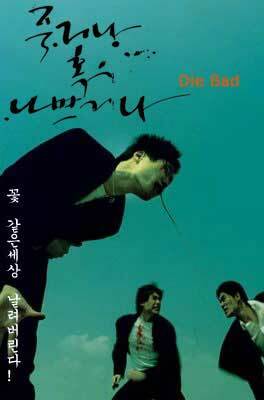 Die Bad: Sung-bin has recruited a gang of youths, unaware that they are expendable and whose only purpose is to serve as knife fodder. Suk-hwan finally faces Sung-bin in a showdown; meanwhile Sung-bin's youth gang faces a horrific and bloody battle.